Details of the careers to date of the Lord and Lady Justices of Appeal and the Heads of Division who sit in the Court of Appeal. All Judges of the Court of Appeal are made members of the Privy Council. Called to the Bar (Gray’s Inn) in 1984. 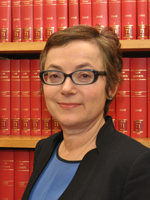 She was appointed both a Master of the Bench and Queen’s Counsel in 2002. She was made a Deputy High Court Judge in 2007 and a Justice of the High Court (Chancery Division) in October 2012. She is responsible for issues and co-ordination in relation to litigants in person on behalf of the Judiciary and has written a Guide to the Chancery Applications Court for Litigants in Person. She was sworn in as a Lady Justice of the Court of Appeal in October 2017. Sir Jonathan Baker was called to the Bar (Middle Temple) in 1978. He practised principally in family law, specialising in children’s cases, and was appointed a QC in 2001. He sat as an assistant recorder from 1998, as a recorder in 2000 and as a deputy High Court judge from 2003. In 2009, he was appointed a High Court judge assigned to the Family Division. From 2011 to 2017, he was Family Division Liaison Judge for the Western Circuit. From 2016 to 2018, he was judge in charge of appeals to the Family Division. From 2017 to 2018, he was Senior Family Liaison Judge, in which capacity he has acted as Chair of the Family Procedure Rules Committee and of the Family Justice Council. He also sat as a judge of the Court of Protection and is the Editor-in-Chief of the Court of Protection Law Reports and General Editor of the Court of Protection Practice. 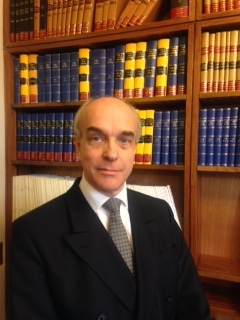 He was appointed as a Lord Justice of Appeal on 2 October 2018. Sir David Bean was called to the Bar (Middle Temple) in 1976. He was appointed an Assistant Recorder in 1992, Recorder in 1996 and Queen’s Counsel in 1997. He was Chairman of the Bar Council in 2002. He was appointed a judge of the High Court (Queen’s Bench Division) in July 2004, served as a Presiding Judge of the South Eastern Circuit from 2007 to 2010, and was a Judicial Appointments Commissioner from October 2010 to March 2014. 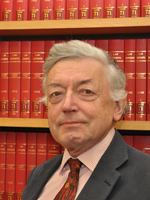 In August 2015 Lord Justice Bean became Chair of the Law Commission. He was appointed a Lord Justice of Appeal in October 2014. Sir Peter Coulson was called to the Bar (Gray’s Inn) in 1982. He was appointed a Queen’s Counsel in 2001 and became a Recorder in the same year. He was appointed a Senior Circuit Judge, sitting in the Technology and Construction Court in 2004. He was appointed a judge of the High Court (Queen’s Bench Division) in January 2008. He served as Presiding Judge of the North Eastern Circuit from 2011 to 2014, and was the Judge in charge of the Technology and Construction Court, from September 2016 to February 2018. 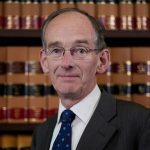 He was appointed a Lord Justice of Appeal in March 2018. Lady Justice Nicola Davies was called to the Bar in 1976. 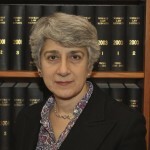 She specialised in medical law encompassing clinical negligence, crime, regulatory work and inquiries and acted in a number of notable cases including Sidaway v Board of Governors of the Bethlem Hospital, the Cleveland Child Abuse Inquiry, Bristol Heart Surgeons Inquiry at the General Medical Council. She also represented Dr Harold Shipman at his criminal trial and Professor Sir Roy Meadow at his professional disciplinary proceedings. Lady Justice Nicola Davies was appointed Queen’s Counsel in 1992, a Deputy High Court judge in 2003, a High Court Judge (Queen’s Bench Division) in 2010. Between 2014 and 2017 she was Presiding Judge of the Circuit in Wales. She was the first Welsh woman to hold all of these appointments. She is the first Welsh woman to be sworn in as a Lady Justice of Appeal on 10th October 2018. She is an Honorary Fellow of Cardiff University. Sir Nigel Anthony Lamert Davis was called to the Bar (Lincoln’s Inn) in 1975. In 1992 he became a Queen’s Counsel. He was appointed an assistant Recorder in 1995 and a Recorder in 1998. He was appointed to the High Court of Justice in 2001, assigned to the Queen’s Bench Division. 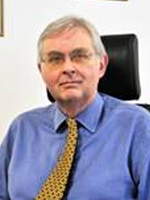 He served as a Presiding Judge on the Wales (formerly Wales and Chester) Circuit from 2006 to 2009. He was appointed as a Lord Justice of Appeal in 2011. 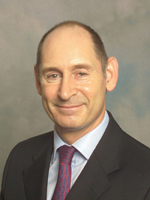 Sir Terence Etherton was called to the Bar in 1974 and was in practice at the Chancery Bar between 1975 – 2000. He was sworn in as a QC in 1990. Between 2001- 2008 he was a High Court Judge in the Chancery Division. He was the Chairman of the Law Commission of England and Wales from 2006-2009. From 2009-2012, he was the President of the Councils of the Inns of Court. He was appointed The Master of the Rolls on 3 October 2016. He is chairman of the Trust Law Committee and President of the Property Bar Association. 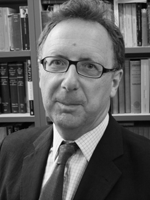 He is a member of the editorial board of the Conveyancing and Property law and a patron of the Birkbeck Law Review. He is a visiting law professor at Birkbeck, London University, and at Kent University. 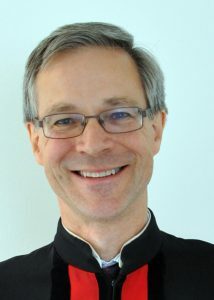 He is an honorary fellow of Corpus Christi College, Cambridge University, and Royal Holloway, London University, and has an honorary LL.D from City University. He was appointed Master of the Rolls on 3 October 2016. He was appointed as a Lord Justice of Appeal in 2008. 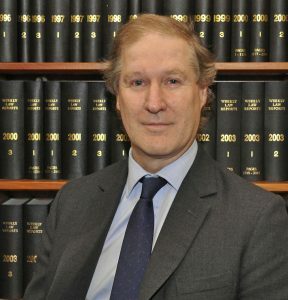 Sir Julian Flaux was called to the Bar in 1978 and practised at the Commercial Bar from 1979 to 2007 specialising in disputes involving insurance and reinsurance, shipping, international trade and professional negligence. He was appointed a QC in 1994, an Assistant Recorder of the Crown Court in 1997, a Recorder in 2000 and Deputy High Court Judge in 2002. He was appointed a High Court Judge in May 2007. He was Presiding Judge of the Midland Circuit from 2010 to 2013. He was Judge in Charge of the Commercial Court from July 2014 to December 2015 and President of the Special Immigration Appeals Commission from January to December 2016. He was appointed a Lord Justice of Appeal in December 2016. Sir Christopher Floyd was called to the bar at Inner Temple in 1975 and became a Bencher of his inn in 2001. In 1988, he was called to the bar of the Republic of Ireland and in 1992 was appointed a Queen’s Counsel. He was appointed an Assistant Recorder in 1994 and a Recorder in 2000, being authorised as a deputy High Court judge and assigned to the Patents Court in 1998. He served as Deputy Chairman of the Copyright Tribunal from 1995 to 2007. He was appointed a High Court judge in 2007, and assigned to the Chancery Division. He was appointed as a Lord Justice of Appeal on 9 April 2013. 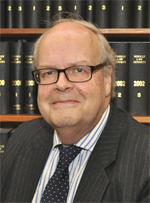 Sir Adrian Fulford was made a Recorder of the Crown Court in 1995, and was re-appointed in 2001 before becoming a judge of the High Court on 21 November 2002. He was assigned to the Queen’s Bench Division and subsequently presided over a number of high-profile cases. Between 2003 and 2012 he also served as a judge of the International Criminal Court’s Trial Division. He was appointed a Lord Justice of Appeal on 10 May 2013, and became the Deputy Senior Presiding Judge for England and Wales on 1 January 2015. He then served as Senior Presiding Judge from 1 January 2016 until 31 March 2017. On 27 February 2017, Sir Adrian was appointed to the role of Investigatory Powers Commissioner to provide judicial oversight of the use of investigatory powers by public authorities. He remains a Lord Justice of Appeal. Sir Nicholas Green was called to the Bar in 1986. He was appointed Queens Counsel in 1998 and a Recorder in 2003. 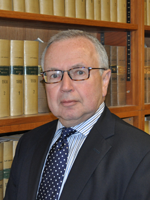 At the Bar he specialised in EU law, constitutional and public law, competition and economic regulatory law, and general civil and commercial law. He was Chairman of the Bar Council in 2010. He was appointed Chairman of the Advocacy Training Council in 2011. He was appointed to the High Court in October 2013 (Queens Bench Division) and was made a Presiding Judge on the South Eastern Circuit in 2016. He was appointed Chairman of the Law Commission in August 2018 and a Lord Justice of Appeal in October 2018. He is an Honorary Professor at the University of Leicester. He holds both a Ph.d and a LL.D. Lord Justice Gross was educated at the University of Cape Town (B.Bus.Sc. ; M.Bus.Sc) and Oriel College, Oxford as a Rhodes Scholar (MA,BCL) where he was also awarded the Eldon Scholarship. Called to the Bar (Gray’s Inn) in 1977, he became Queen’s Counsel in 1992. He sat as a Recorder from 1995 until 2001, and chaired the London Common Law & Commercial Bar Association from 1995 until 1997. He also chaired the Bar Education & Training Committee (1998 – 2000) and the Bar International Relations Committee (2001). Appointed a Judge of the Queen’s Bench Division in 2001, he was designated a Judge of the Commercial Court in 2002, and was Judge in Charge of the Commercial Court from 2009 to 2010. Lord Justice Gross was a Presiding Judge of the South-Eastern Circuit (2005 – 2008). He was designated a Judge of the Special Immigration Appeals Commission in 2009 and was Chairman of the Standing Committee on Judicial Security (2009 – 2011). He chaired the City University Institute of Law Advisory Board (2003-2005), and was Master of Moots at the Honourable Society of Gray’s Inn (2004-2006). 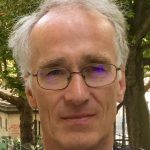 He is a Master of the Bench at Gray’s Inn, as of 1st Jan 2016, an elected member of the Management Committee, and Chairman of the Management Committee for 2018. Lord Justice Gross has undertaken judicial visits abroad (including Jamaica, Guyana, Kazakhstan, Pakistan, Bahrain, Qatar and Iraq) since 2003. He was appointed Lead Judge for International Relations in January 2018. Lord Justice Haddon-Cave was called to the Bar in 1978 (G) and called to the Hong Kong Bar in 1980. 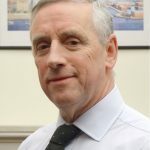 He specialised in shipping and aviation law and acted in a number of notable UK aviation and marine disaster cases such as Manchester Air Disaster, Herald of Free Enterprise, Braer Disaster, Kegworth Aircrash, Knight Air Crash, BP Trent and Marchioness Disaster. He was appointed by the Secretary of State for Defence to conduct The Nimrod Review into loss of RAF Nimrod MR2 aircraft XV230 in Afghanistan (2007-2009). Dame Heather Carol Hallett was called to the Bar in 1972. In 1989 she became a QC and a Recorder of the Crown Court. She became a Bencher of Inner Temple in 1993. She served as Leader of the South Eastern Circuit between 1995 and 1997 and Chairman of the Bar of England and Wales in 1998. She was appointed as a High Court Judge in 1999 and assigned to the Queen’s Bench Division. She became a Presiding Judge of the Western Circuit shortly thereafter. She was a member of the Judicial Appointments Commission from 2006 to 2010 (latterly its Vice Chairman). She was the Chairman of the Judicial College from 2010 to 2014. 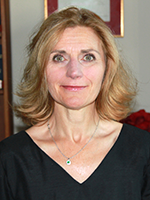 In 2011 she was appointed Vice-President of the Queen’s Bench Division and served as Treasurer of Inner Temple. In 2013 she was appointed Vice President of the Court of Appeal Criminal Division. Lady Justice Hallett acted as Coroner at the inquest into the deaths of the 52 victims of the July 7th London bombings. She was appointed as a Lady Justice of Appeal in 2005. Sir Launcelot Henderson was called to the Bar (Lincoln’s Inn) in 1977, and was made a Bencher in 2004. He was Standing Junior Counsel to the Inland Revenue from 1992 to 1995, when he became a QC. He was appointed a Deputy High Court Judge in 2001, and became a High Court Judge of the Chancery Division in 2007. He was also appointed a Chairman of the Competition Appeal Tribunal in 2007. 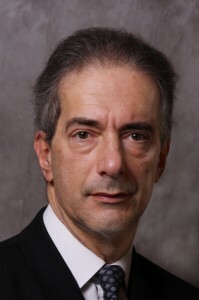 He was a member of the Civil Procedure Rules Committee from 2009 to 2012, and chaired the Judges’ Council Standing Committee on Judicial Library Provision from 2008 to 2013. He was appointed as a Lord Justice of Appeal on 3 November 2016. 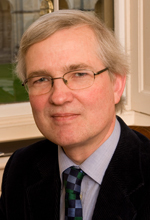 He has been a Distinguished Fellow of All Souls College, Oxford, since 2008. Sir Gary Hickinbottom was enrolled as a solicitor in 1979, and made a Bencher of Middle Temple in 2009. From 1994, he was appointed to a succession of judicial posts, in both the court and tribunal systems (Parking Adjudicator (1994), Assistant Recorder (1994), Recorder (1998), Circuit Judge (2000), Deputy High Court Judge (2001), Chief Social Security Commissioner (2003), Chief Pension Appeals Commissioner (2005), Designated Civil Judge for Wales (2005), Deputy Senior President of Tribunals (2007) and President of the Administrative Appeals Chamber (2008)), before being appointed a High Court Judge in 2009. From 2012-16, he was the Queen’s Bench Liaison Judge (Administrative Court) for the Northern and North Eastern Circuits, and then for the Midland, Wales and Western Circuits; and, for the same period, the Senior Liaison Judge for Diversity. He has also sat as a Judge of the Supreme Court of the Falkland Islands. He was appointed a Lord Justice of Appeal in March 2017. Sir Tim Holroyde was called to the Bar (Middle Temple) in 1977. He joined chambers in Liverpool, and between 1978 and 2008 he practised on the Northern Circuit. He became an Assistant Recorder in 1994, a QC in 1996, a Recorder in 1997 and a Bencher of Middle Temple in 2005. He was appointed to the High Court (Queen’s Bench Division) in January 2009, and was a Presiding Judge of the Northern Circuit between 2012 and 2015. In 2015 he was appointed as a judicial member of the Sentencing Council. He was appointed to the Court of Appeal in October 2017. Sir Stephen Irwin was called to the Bar by Gray’s Inn in 1976. 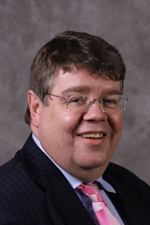 He practised in criminal and civil cases, specialising in clinical negligence, enquiries and scientific tort cases. He was a founder member of Doughty Street Chambers. He was appointed QC in 1997, Assistant Recorder in 1999 and Recorder in 2000. He was Chairman of the Bar Council in 2004. He was appointed as a High Court Judge in 2006. Between October 2007 and July 2012 he was a Presiding Judge on the Northern Circuit. He was Chairman of the Special Immigration Appeals Commission from January 2013 until December 2015. He was appointed to the Court of Appeal in October 2016. Sir Peter Jackson was called to the Bar in 1978. 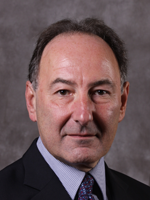 He joined chambers in London, and between 1979 and 2010 undertook a range of civil and criminal work, increasingly specialising in family law and in medical treatment cases. He became a QC in 2000 and a Bencher of Inner Temple in 2010. He was appointed as an Assistant Recorder in 1997, a Recorder in 2000, and a Deputy High Court Judge in 2004. In 2010, he was appointed to the High Court (Family Division) and was the Family Division Liaison Judge for the Northern Circuit between 2011 and 2017. He became a Lord Justice of Appeal in October 2017. Lady Justice King was called to the Bar at Inner Temple in 1979. She was appointed as a QC in 1999. She was made a Bencher of Inner Temple in 2008. 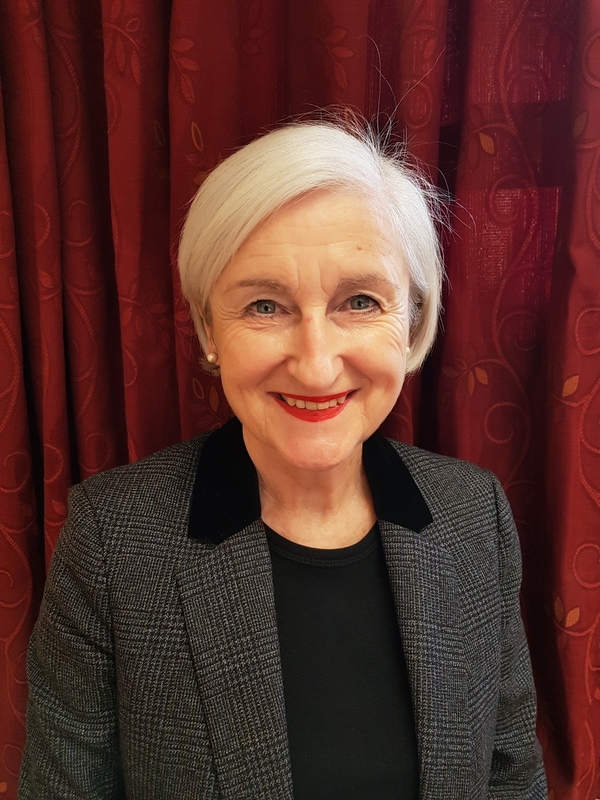 In 2008, Lady Justice King was appointed to the High Court within the Family Division and was the Family Division Liaison Judge, firstly to the Northern Circuit and then the Midland Circuit from 2010 to 2014. In October 2014, she was appointed as a Lady Justice of Appeal. Sir George Leggatt was called to the Bar (Middle Temple) in 1983 and practised as a barrister in London from 1985 until 2012. He was appointed Queen’s Counsel in 1997, a Recorder of the Crown Court in 2002 and a Deputy High Court Judge in 2008. He was also Vice-Chair of the Bar Standards Board, the regulatory body for barristers, from 2006-2008. He was appointed as a Justice of the High Court (Queen’s Bench Division) in October 2012 and as a Lord Justice of Appeal in February 2018. 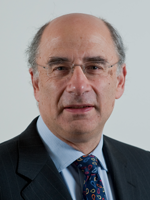 Sir Brian Leveson was called to the Bar by Middle Temple in 1970. He was appointed Queen’s Counsel in 1986 and a Recorder of the Crown Court in 1988. He was appointed a Judge of the High Court, and assigned to the Queen’s Bench Division, in 2000, and served as a Presiding Judge of the Northern circuit between 2002 and 2005 when he was appointed to the new position of Deputy Senior Presiding Judge. He became a Lord Justice of Appeal in 2006 and was Senior Presiding Judge for England and Wales for three years ending in December 2009. In July 2011, he was appointed to chair the Inquiry into the culture, practices and ethics of the Press; his report was published in November 2012. In December 2009 he was appointed as Chairman-designate of the Sentencing Council which had been established under the Coroners and Justice Act 2009. He was chairman until October 2013 when he was appointed President of the Queens Bench Division. Sir Kim Lewison was called to the Bar (Lincoln’s Inn) in 1975, and was made a Bencher in 1998. He became a Queens Counsel in 1991. He was appointed an Assistant Recorder in 1994 and a Recorder in 1997. He became a Deputy High Court Judge in 2000. He was appointed to the High Court of Justice High Court of Justice, Chancery Division 2003 and, the following year, he was appointed to the Competition Appeal Tribunal. He served as Chancery Supervising Judge from 2007 to 2009. He was appointed as a Lord Justice of Appeal on 3 October 2011. The Rt. Hon. Sir Keith John Lindblom was called to the Bar in 1980 and was appointed Queen’s Counsel in 1996, a recorder in 2001 and a deputy High Court judge in 2009. He was appointed as a judge of the High Court in 2010. In January 2013 he was appointed President of the Upper Tribunal Lands Chamber, in April 2014 he was appointed as lead judge of the Planning Court. In November 2015 he was appointed a judge of the Court of Appeal. Sir Andrew Longmore was called to the Bar (Middle Temple) in November 1966. In April 1983 he was appointed as a QC. He was appointed Recorder of Crown Court in April 1992. On October 20th he was appointed a High Court Judge. He was appointed as a Lord Justice of Appeal on 11 January 2001. Dame Julia Macur was called to the Bar in 1979, and was a practicing barrister in the Midland and Oxford Circuit between 1979 and 2005. In 1998 she was appointed Queen’s Counsel, and was Assistant Recorder and then Recorder of the Crown Court between 1995 and 2005, when she was appointed Judge of the High Court of Justice (Family Division). She was Presiding Judge of the Midland Circuit between 1 January 2007 and 31 December 2011. In November 2012, she was appointed by the Secretary of State for Justice and the Secretary of State for Wales to the North Wales Child abuse inquiry. She was appointed as a Lady Justice of Appeal on 31 July 2013. 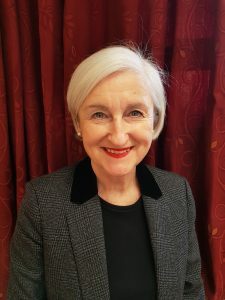 Lady Justice Macur was appointed Deputy Senior Presiding Judge for England and Wales, with effect from 1 January 2016. She was appointed Senior Presiding Judge on 3 April 2017. Stephen Males was called to the Bar in 1978 and took silk in 1998. He practised for over 30 years at the commercial bar as an advocate and (latterly) as an arbitrator. He was an Assistant Recorder and Recorder of the Crown Court and a Deputy High Court Judge sitting in the Administrative Court and Commercial Court. He is a Bencher of the Middle Temple. He was appointed to the High Court (Queen’s Bench Division) in 2012 and was a Presiding Judge of the North Eastern Circuit from 2015 to 2018. He was appointed as a Lord Justice of Appeal in January 2019. Sir Richard McCombe was called to the Bar in 1975, Lincoln’s Inn, and was elected a Bencher in 1996. He was the second junior counsel to the Director-General of Fair Trading from 1982- 1987. In 1987 he became first junior counsel, which he served as until 1989, and was also appointed as Queen’s Counsel. He became an Assistant Recorder in 1993 and a Recorder in 1996. In 1998 he was appointed as a Deputy High Court judge. Between 1996-2001, he served as Attorney General to the Duchy of Lancaster. On 11th January 2001, he was appointed to the High Court, Queen’s Bench Division. From 2004-2007, he served as Presiding Judge on the Northern Circuit. Sir Andrew McFarlane became the President of the Family Division on 28 July 2018. Sir Andrew was called to the Bar in 1977 and took Silk (Queen’s Counsel) in 1998. He was appointed a Recorder in 1995, a Deputy High Court Judge in 2000 and a High Court Judge in the Family Division in 2005. 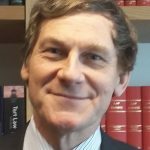 He co-wrote Children Law and Practice which coincided with the enactment of the Children Act 1989 in 1991, and he has been noted for his speeches and lectures around the country on all aspects of child law. 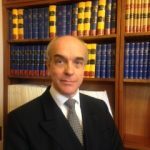 Sir Andrew has held or holds leadership posts including Chairman of the Family Law Bar Association, Chairman of the Clergy Discipline Commission and President of the Clergy Disciplines Tribunals. He was Family Division Liaison Judge for the Midland circuit until his appointment as a Lord Justice of Appeal in 2011 where he is the Supervising Lord Justice for Family Cases. Sir Andrew Moylan was called to the Bar (Inner Temple) in 1978. From 1997 to 2000 he was Junior Counsel to the Queen’s Proctor. He was appointed as a Queen’s Counsel in 2000, a Recorder in 2002, and a Deputy High Court Judge in 2004. In 2007 he was appointed a High Court Judge assigned to the Family Division. He was Family Division Liaison Judge for the North Eastern Circuit from 2008 to 2015. 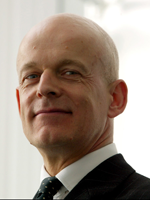 He became an International Hague Network Judge for England and Wales in 2012. He was appointed to the Court of Appeal in March 2017. 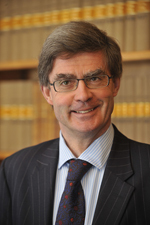 Sir Guy Newey practised at the Chancery Bar between 1983 and his appointment as a High Court Judge (Chancery Division) at the beginning of 2010. Before taking silk in 2001, he was one of the Junior Counsel to the Crown (Chancery/A Panel) (from 1990) and Junior Counsel to the Charity Commissioners (from 1991). In 2003 he became an (Acting) Deemster of the Isle of Man, and in 2006 he was appointed as a Deputy High Court Judge. He also served as a DTI inspector, inquiring into the affairs of MG Rover and associated companies. As a judge, he was the Chancery Supervising Judge for Wales and the Midland and Western Circuits between 2014 and 2017. He was appointed as a Lord Justice of Appeal in October 2017. Sir Nicholas Patten was born on 7 August 1950 and educated at Tulse Hill School and Christ Church, Oxford where he was an Open Scholar. He was called to the Bar by Lincoln’s Inn in 1974; took silk in 1988; and was Chairman of the Chancery Bar Association from 1997 to 1999. He became a bencher of Lincoln’s Inn in 1997; a Deputy High Court Judge in 1998; and was appointed to the High Court (Chancery Division) in 2000. He served as Vice-Chancellor of the County Palatine of Lancaster and Chairman of the Duchy of Lancaster Benevolent Fund from 2005 to 2008. Dame Anne Judith Rafferty was called to the Bar (Gray’s Inn) in 1973, and became Queen’s Counsel in 1990. She was appointed a Recorder in 1991, a Deputy High Court Judge in 1996, and was made a Bencher of Gray’s Inn in 1998. She was appointed to the High Court (Queen’s Bench Division) in 2000 and was a Presiding Judge of the South Eastern Circuit between 2003 and 2006. She was appointed Chairman of the Board of the Judicial College on 1 July 2014, for a three-year term commencing on 1 August 2014. She was appointed a Lady Justice of Appeal in 2011. Sir David Richards was called to the Bar in 1974 (Inner Temple). He was in practice at the Bar from 1975 to 2003. He was Junior Counsel to the Department of Trade and Industry (Chancery) 1989 to 1992 and was appointed Queen’s Counsel in 1992. He was appointed a High Court Judge (Chancery Division) in 2003 and a chairman of the Competition Appeal Tribunal in 2004. 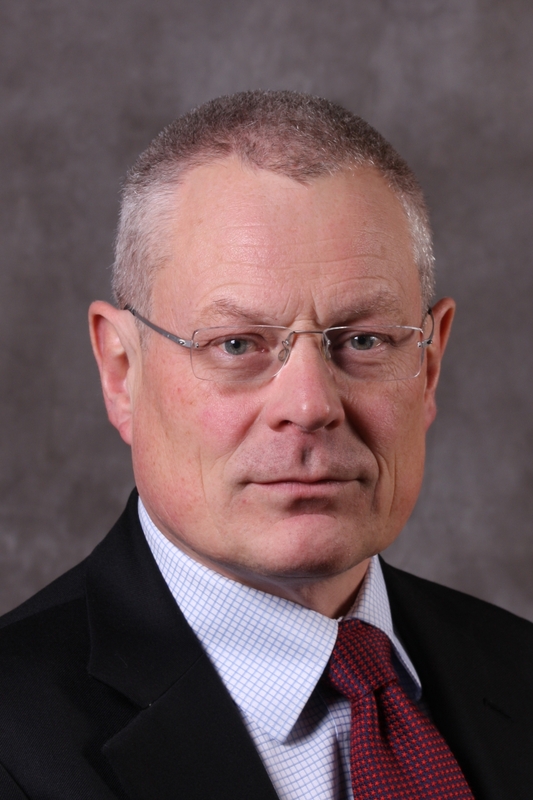 He was the Chancery Supervising Judge for the Northern and North Eastern Circuits and Vice-Chancellor of the County Palatine of Lancaster from 2008 to 2011. He was chairman of the Insolvency Rules Committee from 2005 to 2015 and is co-chair of the Judicial Committee of the International Insolvency Institute. He was elected a Bencher of Lincoln’s Inn in 2000 and is chairman of its Finance and General Purposes Committee. He is a General Editor of Buckley on the Companies Acts (14th ed.). On 16 November 2015 he was appointed as a Lord Justice of Appeal. Dame Vivien Rose was called to Bar (Gray’s Inn) in 1984. She practised in Monckton Chambers, specialising in domestic and European competition law. In 1996 she joined the Government Legal Department as an advisory lawyer at HM Treasury advising on financial services regulation. Between 2002 and 2005 she worked at the Ministry of Defence as Director of Operations and International Humanitarian Law and from 2005 to 2008 she was worked in the Office of Counsel to the Speaker of the House of Commons. In 2005 she became a Chair of the Competition Appeal Tribunal and in 2010 was appointed to be a Recorder on the South Eastern Circuit. She was appointed to the High Court, Chancery Division in May 2013. She was President of the Upper Tribunal (Tax and Chancery Chamber) 2015 – 2018 and a nominated Judge of the Financial List from its inception. 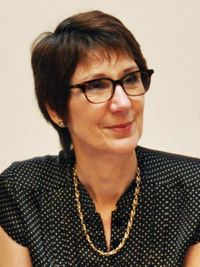 She was appointed as a Lady Justice of Appeal in January 2019. Sir Ernest Ryder was called to the Bar in 1981, and was appointed Queen’s Counsel in 1997. He became a Recorder in 2000. He was appointed a High Court judge, and assigned to the Family Division in 2004. He was the judge in charge of the Family Modernisation review in 2012. He succeeded Sir Jeremy Sullivan as Senior President of tribunals in September 2015. He was appointed as a Lord Justice of Appeal in 2013. Dame Victoria Sharp was called to the Bar (Inner Temple) in 1979. She became a Recorder in 1998-2008. She was appointed as a Justice of the High Court in 2009, and was assigned to the Queen’s Bench Division. 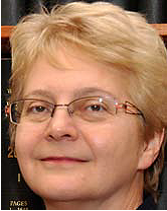 She was a Presiding Judge on the Western Circuit from 2012 to 2013. She was appointed as a Lady Justice of Appeal in 2013. She was appointed as the Vice-President of the Queen’s Bench Division on 1 January 2016. Sir Peregrine Simon was called to the Bar (Middle Temple) in 1973 and became a Bencher in 1999. He was in practice at the Commercial Bar from 1975 and was appointed Queen’s Counsel in 1991. He became an Assistant Recorder (1993) and Recorder (1998) on the North-Eastern Circuit, and was appointed to sit as a Deputy High Court Judge in 1999. He was appointed a High Court Judge (Queens’ Bench Division) in 2002, authorised to sit in the Commercial Court and SIAC. He was Presiding Judge of the North-Eastern Circuit and served as a member of the Judge’s Council from 2006 to 2008. He was appointed to the Court of Appeal in October 2015. 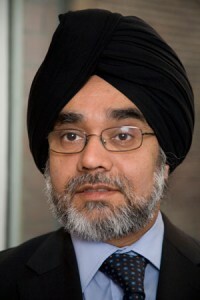 Sir Rabinder Singh was called to the Bar (Lincoln’s Inn) in 1989 and was in practice at the Bar from 1990 to 2011. He was elected a Bencher of Lincoln’s Inn in 2009. He was on the Attorney General’s Panels of Junior Counsel to the Crown from 1992 to 2002 (on the A Panel from 2000). He was also Additional Junior Counsel to the Inland Revenue from 1997 to 2002. He was appointed Queen’s Counsel in 2002. He chaired the Administrative Law Bar Association from 2006 to 2008. From 2003 to 2011 he was a Deputy High Court Judge and Recorder of the Crown Court from 2004 to 2011. He was appointed a High Court Judge (Queen’s Bench Division) in October 2011. 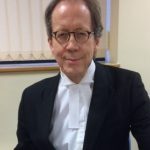 He was a Presiding Judge of the South Eastern Circuit from 2013 to 2016 and the Administrative Court liaison judge for the Midland, Wales and Western circuits during 2017. In September 2018 he was appointed President of the Investigatory Powers Tribunal. 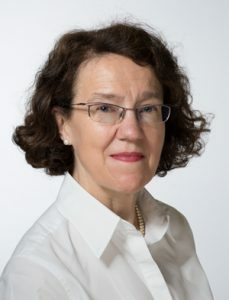 He was a visiting Professor of Law at the London School of Economics from 2003 to 2009 and has been an Honorary Professor of Law at Nottingham University since 2007 and a Visiting Fellow, Lady Margaret Hall, Oxford since 2016. 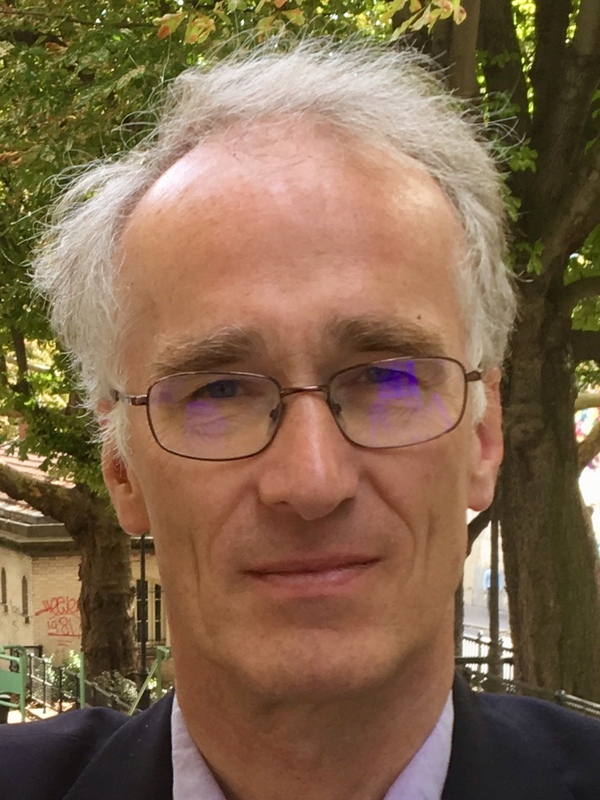 His publications include The Future of Human Rights in the UK (1997) and (as co-author with Sir Jack Beatson and others) Human Rights: Judicial Enforcement in the UK (2008). He was appointed a Lord Justice of Appeal in October 2017. Dame Kate Thirlwall was called to the Bar in 1982 and appointed as an Assistant Recorder of the Crown Court in 1998. She became a QC in 1999 and was appointed as a Recorder in 2000. She became a bencher of Middle Temple in 2008. 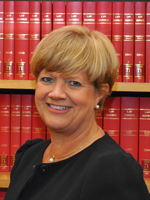 In 2010 Lady Justice Thirlwall was appointed as a High Court Judge and assigned to the Queen’s Bench Division. Between 2011 and 2015, she served as the Presiding Judge of the Midland Circuit. During that time she was Chair of Magistrates Training at the Judicial College. In 2016 she was appointed to the Sentencing Council. She was appointed a Lady Justice of the Court of Appeal in February 2017. 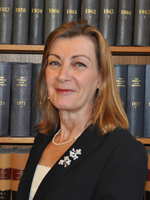 Lady Justice Thirlwall was appointed Deputy Senior Presiding Judge for England and Wales, with effect from 10 October 2017. Sir Nicholas Underhill was called to the bar by Gray’s Inn in 1976. He became a QC in 1992. He was appointed a Recorder in 1994 and authorised to sit as a Deputy High Court Judge in 1998. From 2000 to 2003 he was a part-time Judge of the Employment Appeal Tribunal. He was appointed a High Court Judge in 2006 and assigned to the Queen’s Bench Division. He was re-appointed a Judge of the Employment Appeal Tribunal and was its President from 2009 to 2011. 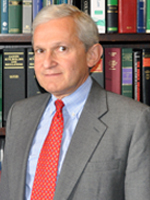 Sir Geoffrey Vos was called to the Bar in 1977, and took silk (QC) in 1993. He was appointed as a Justice of the High Court assigned to the Chancery Division in October 2009. 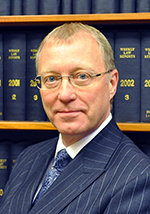 Between 2005 – 2009 he was a Judge of the Courts of Appeal of Jersey and Guernsey, and a Judge of the Court of Appeal of the Cayman Islands between 2008 and 2009. He sat as a Deputy High Court Judge from 1999 until 2009. He was the Chairman of the Bar Council in 2007. He became President of the European Network of Councils for the Judiciary in January 2015. Sir Geoffrey was appointed Chancellor of the High Court of England and Wales with effect from 24 October 2016.